U.S. Defense Department awards $7 billion in solar contracts | West Coast Solar, Inc. 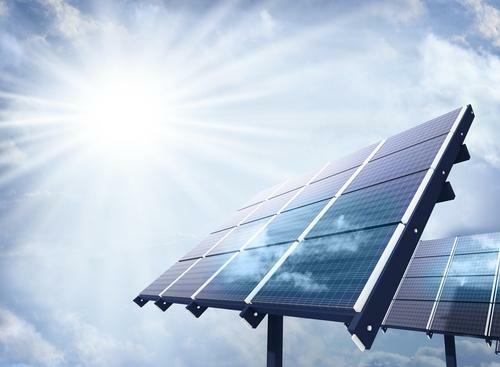 The U.S. Department of Defense (DOD) announced on August 27 that it would be awarding 22 contracts to solar companies to provide renewable energy, specifically solar power, to the nation’s armed forces. The total value of the contracts is over $7 billion, and they represent a model for how institutions and companies can make the switch to solar energy. The DOD has signed Power Purchase Agreements (PPAs) with dozens of solar installation companies that will deliver fixed-price renewable energy indefinitely. The facilities providing the power are being “designed, financed, constructed, operated and maintained by private sector entities on private land or on installations under jurisdiction of the Department of Defense,” according to a press release on the DOD’s website. So what is a PPA, and how would a company benefit from making one with a California solar installer? With this kind of contract, a firm allows the installer build and operate solar panels on their rooftop or property for either a set or indefinite period of time, usually the lifetime of the solar electric system. The firm agrees to buy power from the array at a fixed price during that time. The panels remain the property of the solar company, so they cover the cost of installation and maintenance. The benefit to the company that purchases the electricity is that they have fixed, predictable energy costs that are competitive with what they would pay to buy power from the grid. PPA’s come in many different forms, so if you’re curious how it could work for your business, call West Coast Solar today and we can discuss your California PPA options.